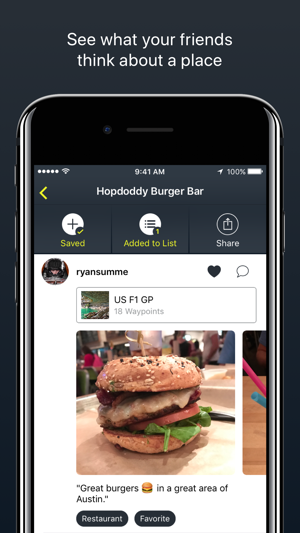 Waypoint allows you to organize and share your favorite places around the world with your friends and family. Are you often being asked for a list of go-to places in your city? 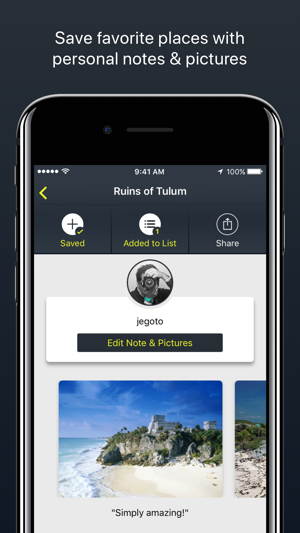 Eliminate lengthy email chains with friends and create rich, interactive lists for the cities you and your friends know best. Add your favorite fitness studios, restaurants, parks, bars, beaches, coffee shops, boutiques and so much more. Follow friends, share your lists, or keep things private. 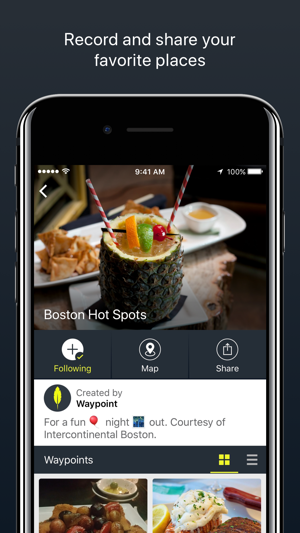 Waypoint will help organize your favorite places and inspire you to visit your friends’ Waypoints around the world. Note: Continued use of GPS running in the background can dramatically decrease battery life. 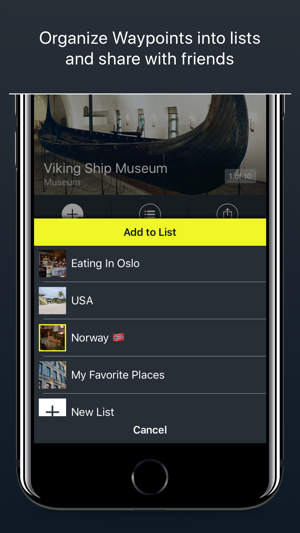 This feature helps you add places you have recently visited and is optional in Waypoint. - Redesign of the List screen to match the new Waypoint design. We hope you love it! 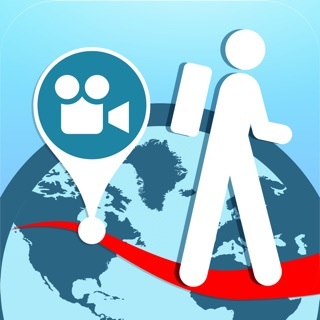 Amazing app to find out where to go in different cities all over the world from friends and family who have been there. Compared to yelp and similar applications, this one easily takes the cake. Great recommendations of everything that is around you. Add your own custom photos and information for your family or friends to check out where ever it is you go! 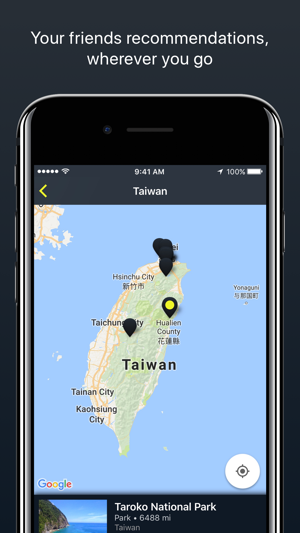 Group your favorite places together in a list from each country, state, or city to make it easy for your friends and family to find which places you love most. Make lists of favorite beer bars, bourbon bars, burger places, or sushi places.. the list goes on and on. Great application, user friendly, easy on the eyes interface, and not a challenging interface to use. 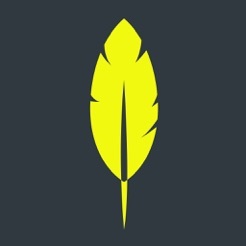 Very customizable and make your page your own. Add friends and people you trust. This app is a must and I use it everywhere I go. Happened to stumble upon this app--was fascinated by the concept. Haven't been able to get off it ever since. Best way to share places and interests with my family/friends. I hear the founder is extremely hot. Anyway, back to Waypoint.. time to try this gelato joint in NoHo.